Automation is having an impact across many different sectors today. 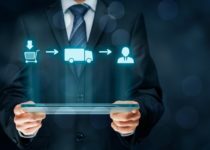 While it’s common to hear talk about marketing automation and workflow automation, delivery automation is not such a widely discussed topic. However, it is in the pipeline – and could have an impact on the future of the delivery industry in many different ways. Essentially, it’s delivery by drone. Automated delivery could put the entire process of shipping and fulfillment into the hands of specially designed technology. There are some obvious advantages to this, including speed and cost efficiency but what kind of impact is it likely to have? How will automation affect the industry? The more automated delivery is used, the more we become reliant on software and the more opportunity that presents for hackers to disrupt delivery processes. As automation becomes more widespread, the need for enhanced security will become pressing. Automation will place intense focus on delivery speed and this will require more from the picking, packing and handing over process in warehouses. The emphasis will be on minimal click to ship times so that there is a shorter period between the placing of the order and it being passed to a carrier. One advantage that physical retailers have always had over digital stores is the fact that a customer can walk in to a physical store and instantly purchase. With the shortened delivery times that automation can offer this competitive advantage could be removed, as customers can achieve instant gratification by getting an order in the same day, or within the hour. Amazon is often highlighted as a retailer that is dominating the market when it comes to sales. As automated delivery becomes more widespread and smaller brands are able to get their products into the hands of customers more quickly, the dominance of big names like Amazon could be reduced. More competitive delivery, as well as solid pricing and reward schemes, may well give smaller retailers an opportunity to be much more competitive. Faster and more flexible delivery experiences and options will create customers with even greater expectations. So, your customers may expect to be able to order an item to their AirBnB on holiday, to the office – and to change their minds at the last minute. This will make data handling crucial to ensure that deliveries don’t become confused and inefficient. Last mile delivery by drone is still some way off but already being tested. As we increasingly employ automation at all stages of the delivery chain, from warehouse picking and packing to that last mile delivery, communication networks will have to be much more streamlined to cope. UCS offers a range of flexible and cost effective delivery options for most needs – we are always looking for the most efficient and innovative ways to improve the service that we offer to our clients. next post: How can partnering with a logistics company save you money on deliveries?